SEA&SEA has announced their new housing for the Olympus OM-D E-M5 Mark II mirrorless interchangeable lens camera. The housing is SEA&SEA's latest in a great line of mirroress housings, incoporating some great new design features. 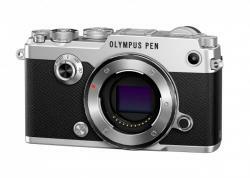 If you haven't yet, be sure to read our Olympus OM-D E-M5 Mark II camera review. 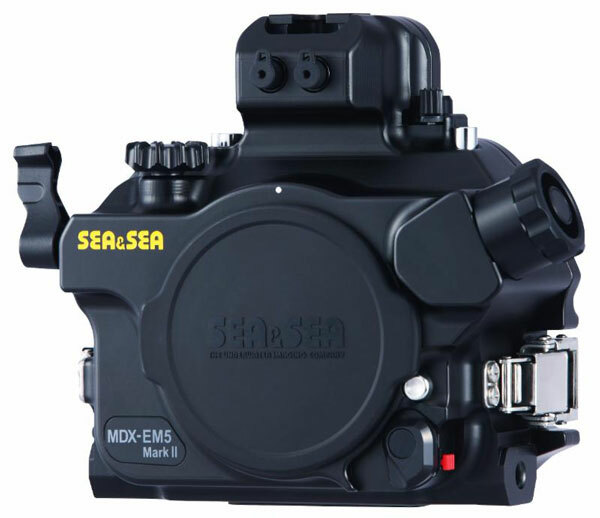 SEA&SEA announces the release of the newest addition to SEA&SEA's mirrorless class family: the MDX-EM5 Mark ll Underwater Housing for the Olympus OM-D E-M5 Mark ll Mirrorless Digital Camera. The MDX-EM5 MK ll is designed, engineered, and manufactured in Japan. 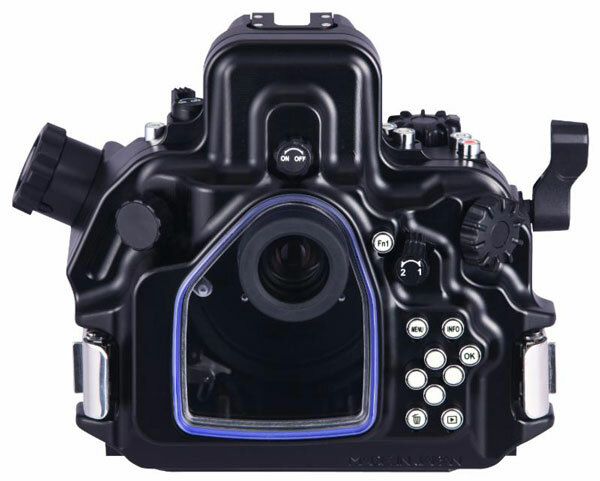 The MDX-EM5 MK II housing has been designed to accommodate the Olympus FL-LM3 flash. The FL-LM3 is required to trigger external strobes. 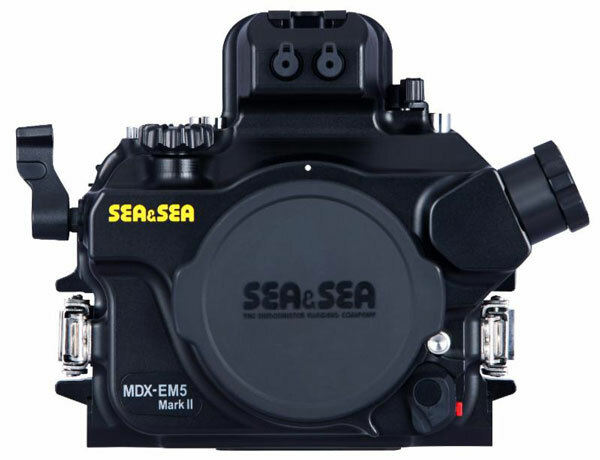 The MDX-EM5 MK II housing grants access to the FL-LM3 ON/OFF power. Another key feature of this housing is that the levers and buttons will glow in low light conditions for enhanced visibility. The MDX-EM5 MK ll is also compatible with Ergo-Grips v2, SEA ARM 8, and Grip Stay L II. The Olympus OM-D E-M5 Mark ll Mirrorless Digital Camera has significantly improved features for underwater photographers including an upgraded electronic viewfinder, focus peaking, and an upgraded frame rate with both ALL-l and IBP recording modes.